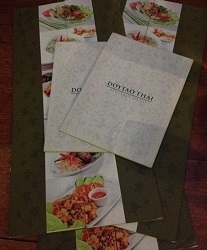 From Boronia Park to Sutherland, Doytao Thai Restaurants have you covered for an enjoyable night of deliciously authentic Thai cuisine. It all started in Newtown 15 years ago and has grown to 8 locations across Sydney including Drummoyne, Croydon, Padstow, Glebe and Waterloo. You'll find all of the information about each restaurant conveniently on their website. and vegetarians will be happy with the variety of options. 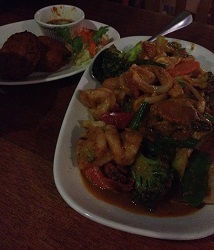 The Thai Fish Cakes or Money Bags are ideal starters and you certainly can't go past their Pad Thai for a main. If you're a seafood lover, the Doytao Seafood Special is a true delight and if you're looking for a Thai salad the choices won't disappoint. Prices range from around $9 to just under $29 and you can bring your own wine to compliment your meal. The atmosphere is vibrant and while the restaurants are most often busy the customer services is of such a high standard that you'll feel relaxed and well taken care of. service for orders over $20 dollars. So as not to be disappointed you can check if they deliver to your area on their website by entering your postcode. If you are eating in it always pays to book so you'll be assured of a seat. While the opening times differ, all open at 11am apart from Sutherland which is only open for dinner and they close between 9:30pm and 11pm depending on the location. Detailed information on opening times, along with their menu can be found on the website.